Some of the best Batman stories ever told came from the perspective of a character other than our Dark Knight Detective. Batman Annual #2 is such a story. Our P.O.V. 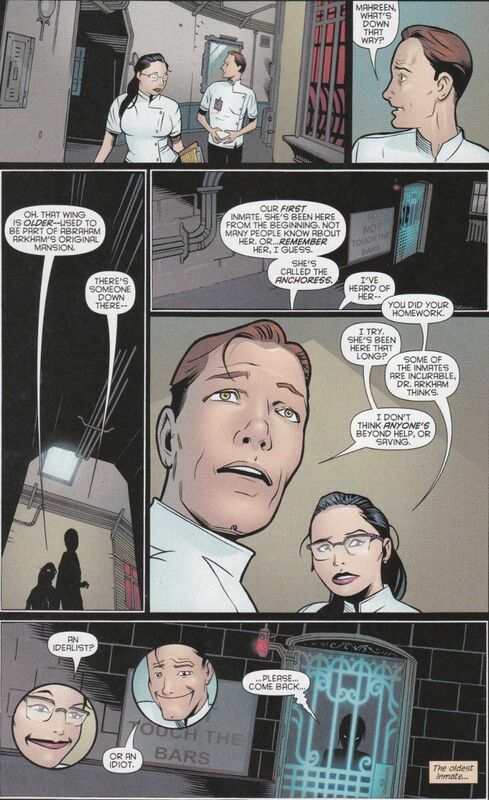 character is Eric - an idealistic new orderly who has an encounter with both the legendary Batman and the first inmate Arkham Asylum ever housed on his first night on-the-job. 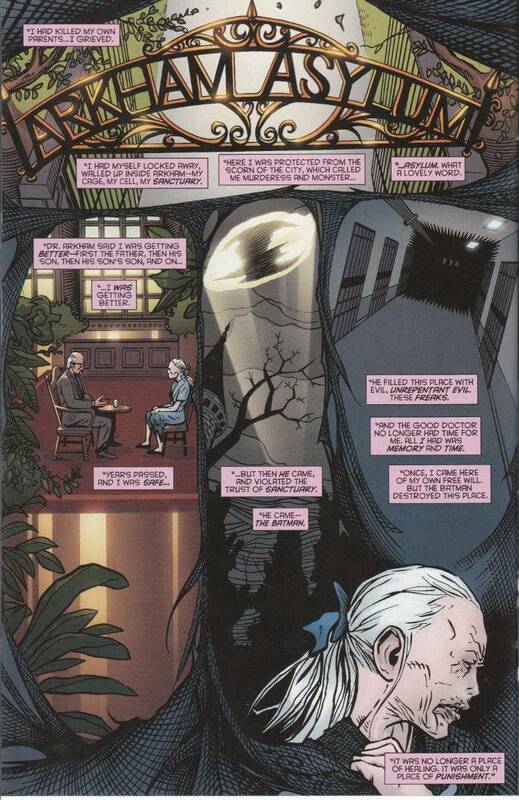 The script by Marguerite Bennett (co-plotted by Bennet with Scott Snyder) is wonderful on all fronts. The idea that Batman bears some responsibility for the creation of many of the villains he faces has been explored before but I don't recall any Batman story that proposed that his presence created a philosophical shift from treatment to punishment as the villain/victim of this piece suggests. Said victim/villain, The Anchoress, is a worthy addition to Batman's Rogues Gallery, with powers enough to be difficult for Batman to face in a direct fight and a psychological defect unlike anything we've seen in previous Batman baddies. Would that the artwork of this issue matched its' story in quality! The pencils of Wes Craig (most recently seen in World's Finest) are skillful enough and his character designs are clear as are his depictions of the action. Yet with six inkers having worked on this issue, there is a certain lack of continuity to the artwork as the story progresses. Thankfully, the artwork never looks bad - just uneven. Any who doubt the power an inker has to make or break a comic would do well to read this issue and observe the differences in inking technique on various pages. Regardless, the inking issues do not detract from the story itself and this comic was a most enjoyable read.